Image | Formats | Off Your Rocker! My good friend, and fellow humor writer, Stacey Gustafson, shares her hilarious family escapades with us in her book, Are You Kidding Me? 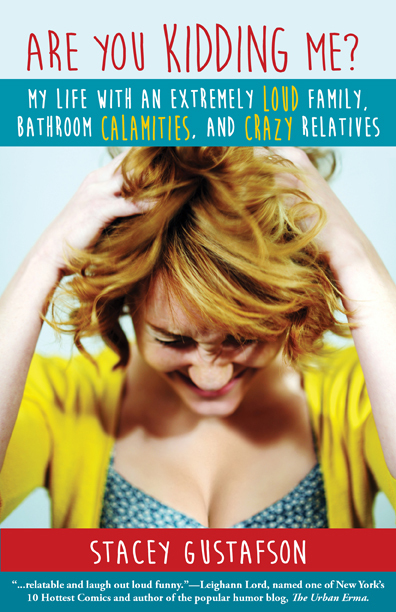 My Life With an Extremely Loud Family, Bathroom Calamities, and Crazy Relatives, scheduled for release this fall. Stacey has a string of hits with her stories published in popular anthologies, including Not Your Mother’s Book on Home Improvement, and several others in the Not Your Mother’s Book series. 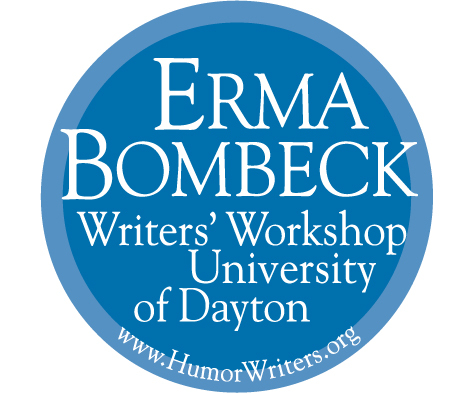 She was featured in Chicken Soup for the Soul, and even performed a stand-up comedy routine at the 2014 Erma Bombeck Writers Workshop. It took years to reach the decision. Our garage already overfloweth with boxes of ornaments, Costco trash bags stuffed with fake garland, its needles protruding through the plastic like some glactic alien struggling to break free, and tangles of multi-colored exterior lights dangling from nails above the workbench. Where, we wondered, would we store an artificial tree? But we finally tired of shivering through the Home Depot tree lot to pick out just the right Noble or Douglas, with no more than one bad side that could be camouflaged against the wall, to adorn our home for the holiday season. So last year my husband and I went faux. We would simply find room, we reasoned, even if it meant our out-of-town relatives would have to share our guest room with a needling roommate. We traded the damp drizzle of the Home Depot lot for the comfort of the Sears store at Stoneridge Mall, where we selected a genuine faux fir among those on display. To our surprise and delight, the 7½ foot tree came in a neat cardboard carton not much bigger than a Barbie Dream House.